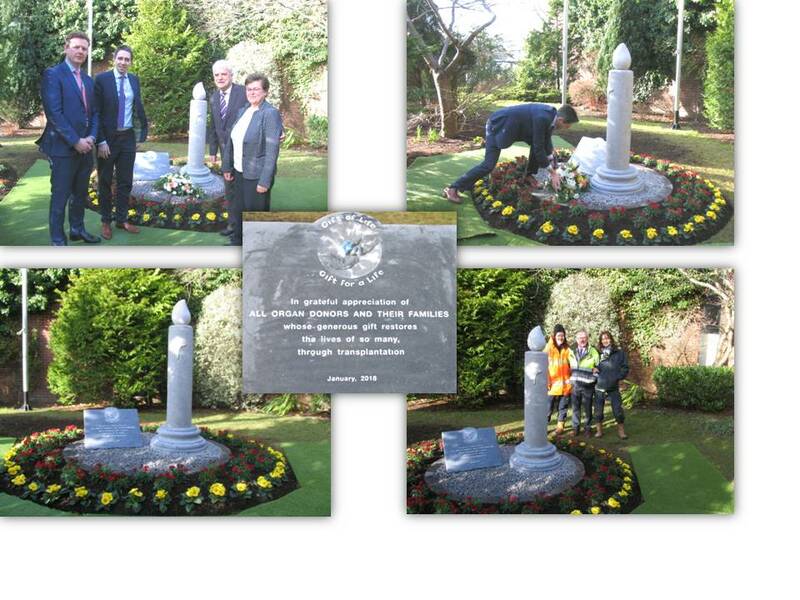 Today 15th Feb the Minister for Health Simon Harris laid a wreath at the recently erected 'Gift of Life' Memorial located just to the right of the front door of the Hospital. The event was attended by transplant recipients, the Irish Kidney Association and our Transplant Unit health care professionals. The memorial was designed by sculpture artist Mr Dennis Goggin. This memorial pays a fitting tribute to all organ donors - both living and deceased - whose generous gift of organ donation have saved and transformed the lives of others and has resulted in over 5000 kidney transplants performed in Ireland since the beginning of the programme in 1964. Many thanks to the Technical Services Department and the expertise of our gardeners and grounds staff for the beautiful bedding that showcases the memorial so well.